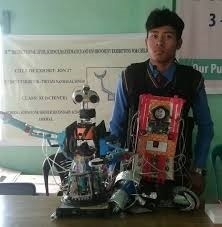 Teen Autodidact Thiyam Nandalal Singh from manipuri builds robot using waste. Inventor of JON17 Robort using waste. Children from an early age are amazed by the movies where heroes and villains are robots. It was with that innate curiosity of the children that Nandalal, a boy from Manipur, began his robotic adventure. Thiyam Nandalal Singh attended many scientific events at the behest of his school and in those visits to conferences and exhibitions he discovered that robotics was not just a dream embodied in movies. Robotics is a science that is developing in India by leaps and bounds. Nandalal wanted to become a robotic engineer, but he didn't want to wait until he joined the IITs. He wanted to start now. Nandalal from a very young age applied the principle of "disassembling and arming you learn how the devices work, no matter if they are toys, electronic waste or whatever you find in the junkyards, everything works," he says. Over time, the child learned how to repair appliances. His schoolmates played with toys, while Nandalal played at repairing everything he could find. Neighbors knew about the child's abilities and when an appliance was damaged they called Nandalal. He was the boy engineer of the neighborhood. Nandalal's skills consolidated over time. He is an autodidact of the Electronic Engineering, but he was not satisfied with repairing equipment, he wanted to build one of his own. For the young autodidact, having equipment for the construction of his robot was not a problem. He designed a prototype and built a robot from waste materials. That's how Nandalal created JON17, his own robot: "The main mechanical movements of the robot are performed by the DVD drives used, which are connected to a pair of syringes filled with water and interconnected with intravenous fluid tubes. This functions as a hydraulic system and allows parts such as the head and hand to accomplish their purposes”. The robot's name is a compendium of the school's name "JO" Johnstone, “N” Nandalal, and “17” 2017 the date it was manufactured. The creation of Nandalal is mobile and responds to simple commands such as lifting objects, moving hands and turning the head. 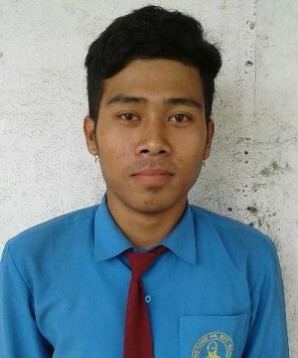 What it took the big robotics corporations decades, Nandalal did achieve before 18 years old, for his 12th Grade class at the Johnstone Higher School in Imphal. His robot was so ingenious that one of his teachers, the chemist Jaichand Oinam decided to record it and publish it on the school's Facebook. From there the prototype JON17 obtained funding from the Director of Education of Imphal Mr. ThKirankumar. Since then on JON17 was taken to various scientific competitions and exhibitions, where it won regional prizes. Nandalal's fame quickly spread among the academic community. 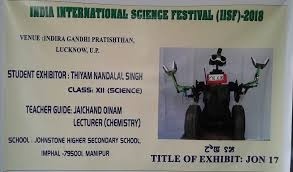 His creation is so novel and original that he was invited as a participant to the Indian Scientific Congress 2018 at the University of Manipur. The young student attended representing the Manipur Department of Education. The journey from the dreams of a child who wanted to build a robot, to the manufacture of the prototype and subsequent construction of an efficient model, was the result of the child's talent and the support of his teachers. The role played by teachers Jaichand Oinam and ThKirankumar so that the prototype was manufactured and disseminated, shows that teachers are key elements for the talent of young people to find ways to express themselves. Nandalal builds robots because of their natural affinity with technology. However, it was necessary for his teachers to motivate him to move towards more complex challenges. Presenting Jon17 to scientists and engineers from the University of Manipur opens new horizons for this Self-taught Engineer. The Nandal effect shook the school authorities in Manipur. State, regional, municipal and school principals, plate increased efforts aimed at stimulating the development of talent in schools. The open debate about the achievements of a self-taught young man puts in the foreground the search for local tools that should be used to encourage creativity in the young people of Manipur. The Director of the State Education Department, Th. Kiran Kumar said: "If Nandalal can create a robot from waste, then the universe is the limit for our youth. 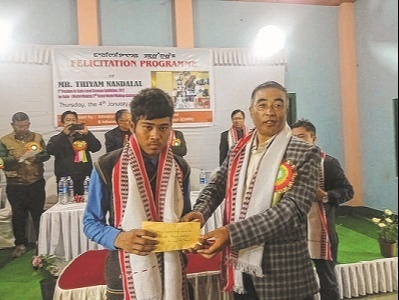 This statement was made during a tribute to the young Nandalal held in Imphal, in the presence of the Director of the State Education Department (schools), Th. Kiran Kumar, and ICHAM's chief adviser, Kangujam Modhumangol. But it is not only the education authorities who want to encourage talented young people. During the month of February 2018 a group of graduates of the Don Bosco School (DBS), Chingmeiron donated a laptop to the young Nandalal to continue working on the improvements of JON17. In addition to the president of ICHAM, N Ranjendro Singh made a donation of Rs 50,000 so that Nandalal could continue with his work. The National Institute of Electronics & Information Technology (NIELIT) invited the creator of JON17 to join the institution as a scholar. The achievements of the Child Engineer of a neighborhood in Manipur discover the universe of young talents who are scattered throughout India. These young people need only the support of family and society for their talents to flourish.